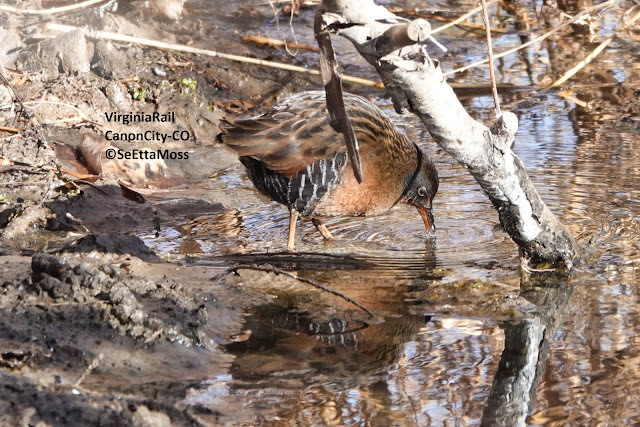 This Clark's Grebe crown feathers are lifted up in a courtship display almost looks like it's wearing a hat. 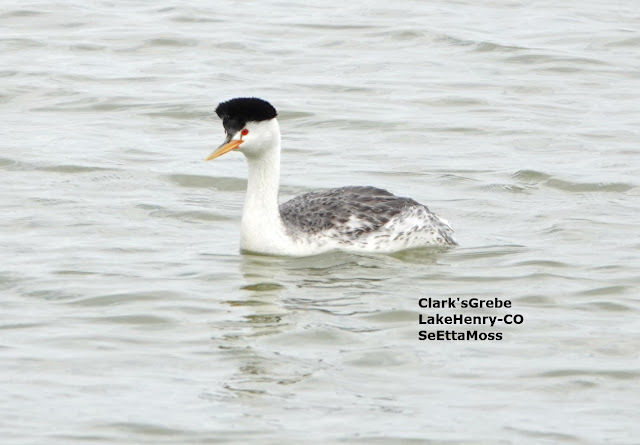 The red eyes found on both aechmorphorus grebes (Western and Clark's Grebes) really stand on this species as the eyes are surrounded by white feathers and white lores and thin red loral stripes. 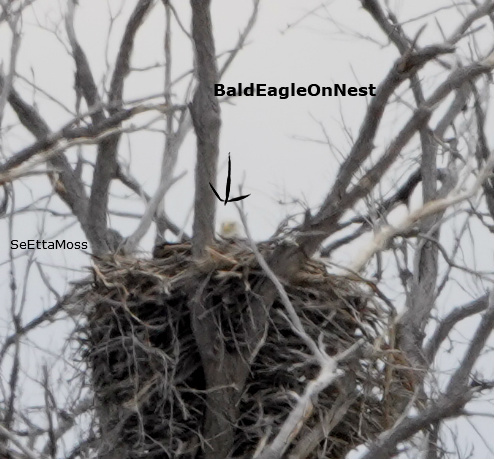 When I looked through my binoculars at this nest today I thought the eagle wasn't on it as her head is so light and small--this nest is located more than 500 feet from the public road. Even at that distance I took the pics from inside my car and did not get so I didn't disturb the eagle. This nest has been used by Bald Eagles for a number of years as is evident by its' amazing size.